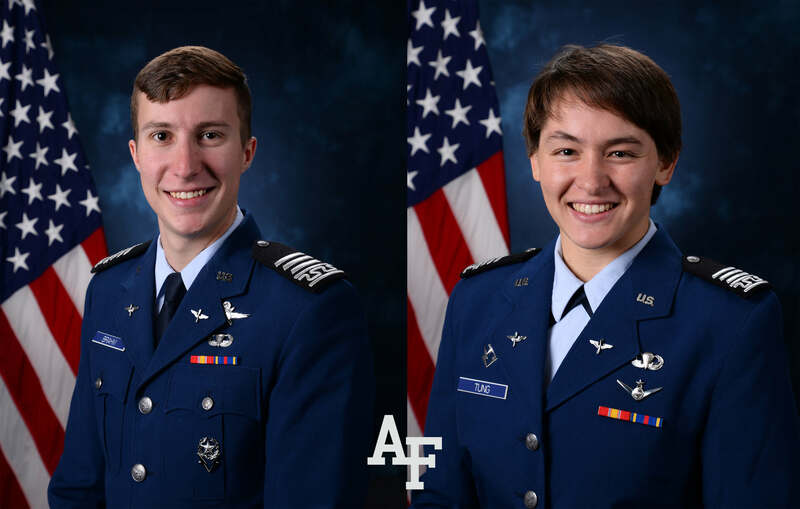 U.S. AIR FORCE ACADEMY, Colo. – Two senior cadets at the Air Force Academy were elected to the American Rhodes scholar Class of 2019, on Nov. 17. Cadets 1st Class James Brahm, of Alabama, and Madison Tung, of California, are the 40th and 41st cadets to receive the scholarship. Brahm’s academic major is computer science, and Tung is double majoring in mathematics and humanities. Both are also pursuing academic minors in Chinese. At the Academy, Brahm studies cyber security and will pursue master’s degrees in computer science and public policy while at Oxford. Tung studies artificial intelligence and will pursue master’s degrees in computer science and global governance and diplomacy while at Oxford. The Rhodes scholarship, established in 1902 by philanthropist Cecil Rhodes, covers all costs for two to three years of study at The University of Oxford in England. Winners are selected on the basis of academic achievement, personal integrity, and leadership potential, among other attributes. The 32 students of the 2019 Class will begin classes at Oxford in October 2019.